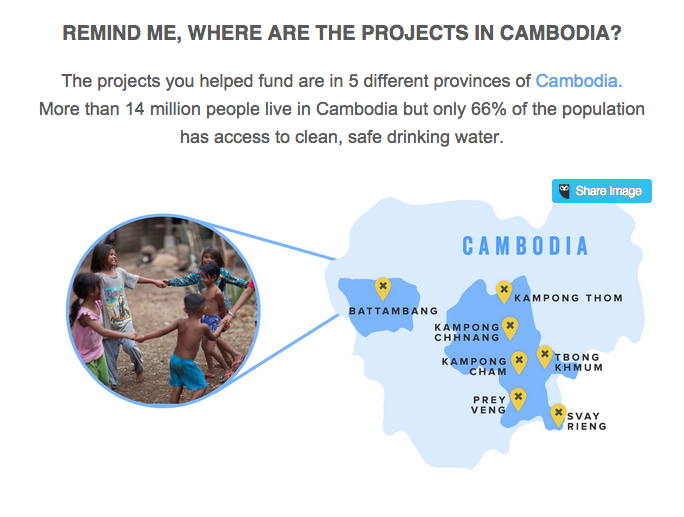 That’s what I thought after I read through a recent email from charity: water. I’m sure many others received an email just like mine but it felt like I was the only one in the world. And because of that feeling of being special, I think it’s one of the best emails from a charity I’ve ever seen. Here’s the breakdown of the email with my initial thoughts and then 4 lessons your organization can learn from this email. Oh yeah, I remember doing that. Very neat. Wow! They sure have their sh… stuff together. They love me, they really love me. After clicking some links and completing the survey, I then forwarded it on to friends and colleagues and then began writing this post. Here’s a few things I think we can all learn from this email. 1. The Inspiration of Impact and Reporting. I give to quite a few organizations throughout the year in Canada and the US. There are three my wife and I support intentionally and then others come and go. 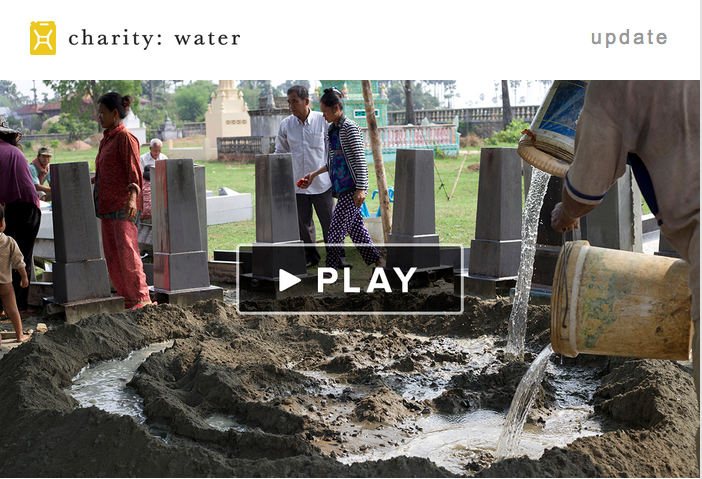 And while charity: water is not one of our top three it is the most fun to give to. By quite some distance too. The best feeling (and birthday present) on Earth is seeing how we’ve helped others. I cannot wait to donate my birthday again this year! 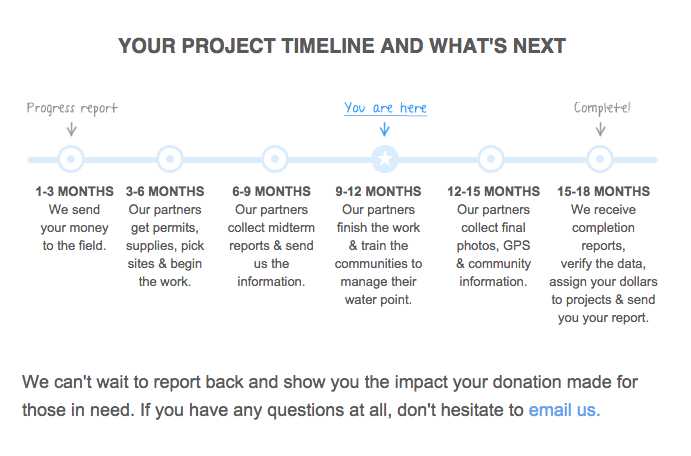 Read that last line again: I cannot wait to donate my birthday again this year! That doesn’t happen over night, as you may want and wish to believe. Building up loyalty and trust takes time. A small donation is thanked and followed up with well. The email newsletter is often interesting and inspiring. And projects seem to be making a real difference that I can see and feel. 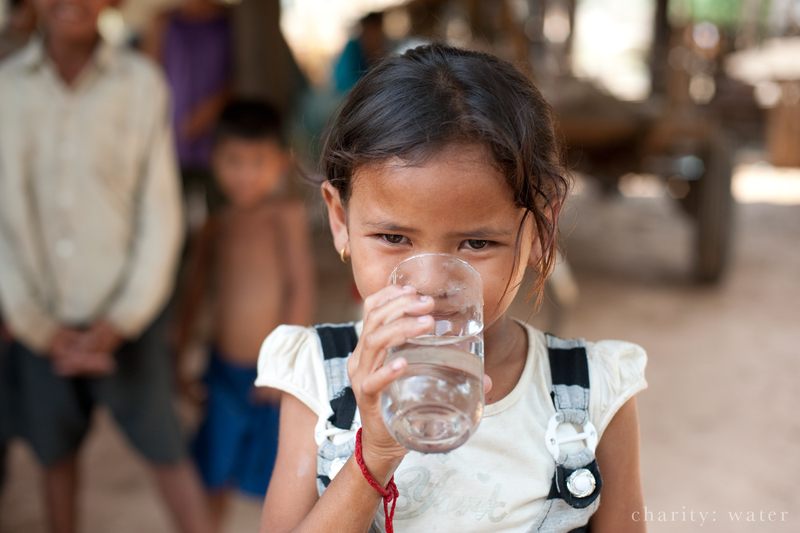 charity: water is not charity: water without its commitment to reporting back to donors and fundraisers. It would be a cool charity that looks pretty and maybe even grows a bit but over time its growth would stop and it would stagnate. The impact and reporting is what justifies our emotional desire to give, to get involved, to fundraise. It makes us feel good all over again and reaffirms that our decision to do those things was a good one. 2. It’s All About Me. Take a look at the copy again right after the video here. They use about 55 words and 5 of them are “you” or “your”. It’s fairly easy to use “you” and “your” language in your communications, or it should be, and when you do so, especially early in communications, it’s quite remarkable how it can make the reader feel. 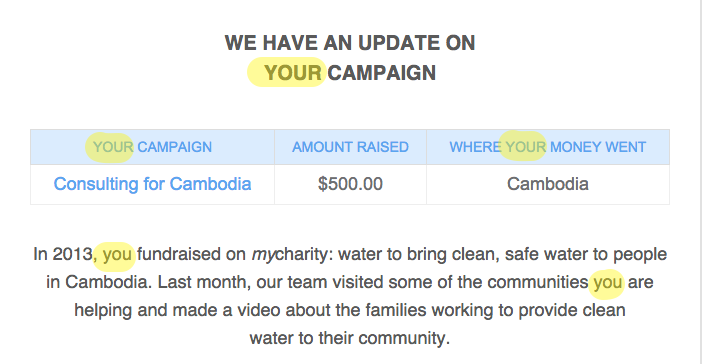 When you combine that with actual data about me (amount raised, campaign name, for which country – again, relatively simple) it really ends up feeling like a personal communication. Something I did. 3. Keep It Simple. Then Add Layers. This email is scannable. It has nice big old buttons for me to click. It has some clear sections. It also has some good information and detail if you care to read it and some links that lead to even more information if you care to click those. And it starts with big and simple, Watch This Video!, to about me, What You Did, to about them, What We Did, to more detail, How We Do It and ends with me again, We Want Your Voice. Organizations often don’t want the very serious work they do to be oversimplified or discussed flippantly. I get that. Feeding the hungry, clothing the poor and providing services to the forgotten is often complex and very serious. But if you tell your story that way, especially right off the bat, many donors won’t even open, understand or get through your communication to know how complex and serious it is. We need to understand our donors mailbox and inbox. How many emails must they get? How many letters to they ignore? Resist the temptation to “take your shot”, hope it gets opened and tell them everything they need to know about your cause the your issue. Keep it simple. Then add layers. If you can do that, and make it largely about them, you stand a chance. 4. Take A Chance. Or Suffer The Consequences. It’s sad and damning on our industry when a pretty straight forward 18 month project timeline stands out like this. Not just because it takes 18 months of difficult work and makes it understandable but because they state their commitment and process so publicly. They take the “risk” of actually telling their donors what they are going to do and then try to go out and do it and report along the way. Isn’t that the bare minimum that we as donors should expect? Shameful. I’m not innocent here either. I’ve been as guilty as the next. I was a fundraiser. I was a marketer. I would’ve done things different or better but didn’t. The biggest reason? Trying to be perfect. We were concerned about our “brand” and stating things too simply for people. We were afraid we’d look foolish if we came up short. We were scared we would lose donors and support if we couldn’t deliver. Does that sound familiar at all? If it does, you’re in dangerous territory. 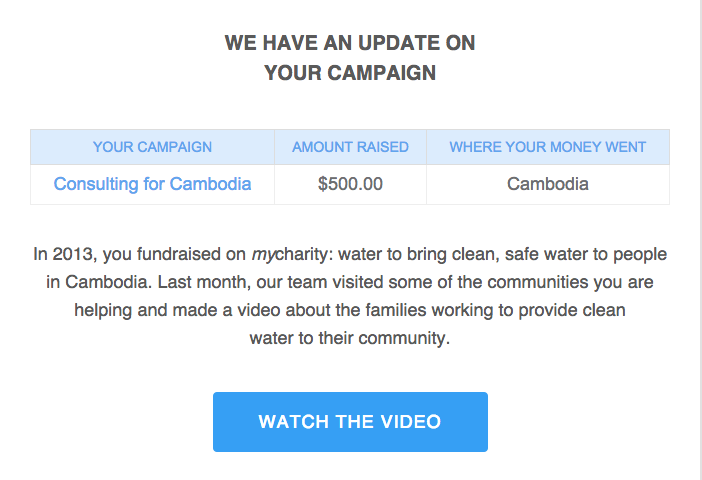 Because it’s getting to the point where brands will suffer, organizations will look foolish and charities will lose donors if they DON’T take a risk and try to do the types of things charity: water does.